I always wanted to make one, contribute towards the Punjabi cinema and my homeland," says Guddu Dhanoa. After making 23 bollywood flicks, Guddu Dhanoa has now decided to make a Punjabi movie, which is a good sign for the Punjabi Film Industry as it will give impetus to Punjabi films. Earlier, Sonu Sood was chosen for the lead role but was replaced by Punjabi singer Diljit Dosanjh, as Dhanoa says "Sonu Sood had to be replaced by Diljit Dosanjh, a Punjabi singer, as for people here only hit singers make hit actors." The locations for the shoot of this Punjabi films have been finalised and shooting begins soon !!! Starring: Diljit Dosanjh, Divya Dutta, Pooja Tandon (The Perfect Bride fame), Gurpreet Ghuggi,Deep Dhillon, Vivek Shauq, Vindu Dara Singh, Bhotu Shah, Yaad Grewal, Rupinder kaur, Malkit meet. Miss Pooja is playing lead role as actress in Channa Sachi Muchi directed by imminent director Sh. Harinder Gill. This is suppose to one the most talked Punjabi movie of Miss Pooja after her debut film Panjaban - Love Rules Hearts. Shooting started at Chandigarh Group of Colleges’ Campus at village Ghaduaan. Miss Pooja is the heroine in the film and opposite her is Goldy. A new face Jas is the villain in the film and Rana Ranbir is the comedian. 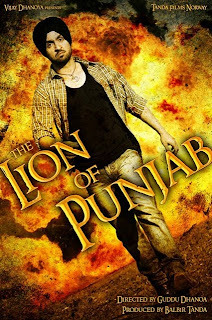 The film is based on the increasing drug menace in Punjab. Miss Pooja playing a very serious and romantic role in this film as her image is so perfect for the current film script. Channa Sachi Muchi is the second upcoming film which is also being criticized by youth of Punjab. Probably they want to see Miss Pooja as little moralized in the sense of family. 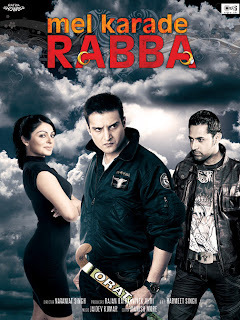 In this Punjabi movie the image of miss pooja is definitely going to be improved as she taking care of family morals. This is also come to hear that this Punjabi Film is completely family film. This is the story of a girl who challenges our society and wants to be treated at par with the boys. We all say that there is no difference between boy and a girl but, we all know that this is not the truth. Our heroine Jaspinder Cheema understands that her struggle is not going to be easy but she is ready to make any sacrifice for that. For that she has to fight with her lover, her family and other relatives. Our hero understands her feelings and wants to help her but for that he has to face his parents. They find a wonderful world of theatre that can help them in achieving their goal. The background of Panjab University campus Chandigarh gives an authentic and realistic feel to the film. Do they win against all odds? Let’s hope so… but it’s going to be much more difficult and painful journey than they thought. You have seen many love stories but this will change your mind forever, i think this story can change the way we look at girls. The music of the film will be done by Sukshinder Shinda. For the first time Rana Ranbir will also write the dialogues of this film. This will be Amrinder Gill's second film with Manmohan Singh. First one is "Munde UK De" in which he was in supporting role with Jimmy Shergill. Actress Jaspinder Cheema is being introduced in the lead role opposite Amrinder Gill and Kimi Verma is also giving a special appearance in the film. Story of Ik Kudi Punjab Di is definitely going to rock over the Punjabi community, its youthful, inspiring and an eye opener for many who still feel that women are suppose to sit back home and look after kids. The shooting of the film Ik Kudi Punjab Di is over and is now in its post production phase. Music of the film will be released very shortly which include songs by Amrinder Gill, Feroz Khan and Master Saleem. The shooting began on 14th January in Amritsar and then moved on to be shot in Chandigarh, Panchkula and the other surrounding areas. Shooting of the film was successfully completed on 25th February 2010. Almost every university boy of Punjab considers himself to be a cool dude. But through out student life no one has been able to figure out that why such a dude appears harsh-rude to beautiful college girls. Case of our boy in Mel Karade Rabba is not so different here. Surprisingly, without doing anything or rather much, our cool dude has managed to make his way to the most eligible girl in his college. And now he thinks that he has got everything in this world.. but can he make his way to her heart as well? What she thinks? What is there in her mind? Will she open her heart to him or there is something else in her mind?